Card Message: Imagine being given three wishes. 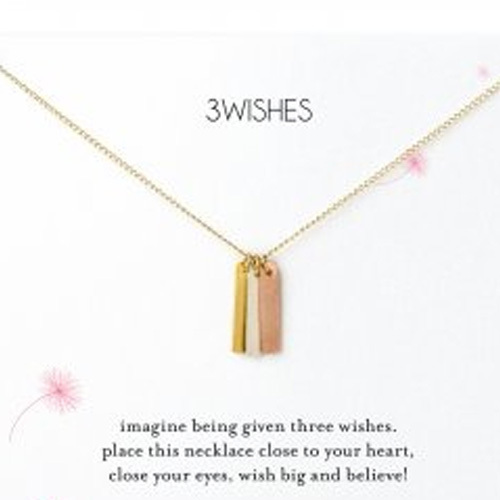 Place this necklace close to your heart, close your eyes, wish big & believe. 18" gold filled fine oval chain. 15mm rose gold dipped long bar charm. 15mm gold dipped long bar charm. 15mm sterling silver long bar charm.